RCB vs RR, IPL 2019: Royal Challengers Bangalore to play against Rajasthan Royals at Jaipur: Rajasthan Royals (RR), who boast of star players like Steve Smith and Ben Stokes, both have disappointed their fans and team and to live up to the expectations. The likes of Jos Buttler and skipper Ajinkya Rahane have been good. but Smith and Stokes are yet to set the tournament on fire. The Royal Challengers Bangalore (RCB) on Tuesday will take on Rajasthan Royals (RR) in the 14th match of Vivo IPL 2019 at the Sawai Mansingh Stadium in Jaipur. Both the teams are desperate to register their first win in the ongoing IPL season this year. Earlier, RCB has lost all its matches of the season this year. RCB lost its first match against Chennai Super Kings (CSK) in the first inaugural match. The team won by 7 wickets against RCB. RCB lost its second and third match against Mumbai Indians (MI) and Sunrisers Hyderabad (SRH). Virat Kohli-led RCB is seeking a victory and will try to bounce back on the winning track. RCB has played 3 matches and faced defeat in all the three games so far. Skipper Virat Kohli’s record against RR has been average with just 21.27, his lowest against all IPL teams. On the other hand, Rajasthan Royals (RR), who boast of star players like Steve Smith and Ben Stokes, both have disappointed their fans and team and to live up to the expectations. The likes of Jos Buttler and skipper Ajinkya Rahane have been good. but Smith and Stokes are yet to set the tournament on fire. Bowler like Jaydev Unadkat has been expensive and is worrying for the team’s win. Meanwhile, Australian batsman Ashton James Turner has linked up with the squad and RR might be tempted to bring back the top batsman into the feild against RCB. The 26-year-old is now ready to shine in the Indian Premier League (IPL). Ajinkya Rahane (c), Jos Buttler (wk), Sanju Samson, Ashton Turner, Ben Stokes, Rahul Tripathi, Krishnappa Gowtham, Jofra Archer, Dhawal Kulkarni, Jaydev Unadkat, Shreyas Gopal. 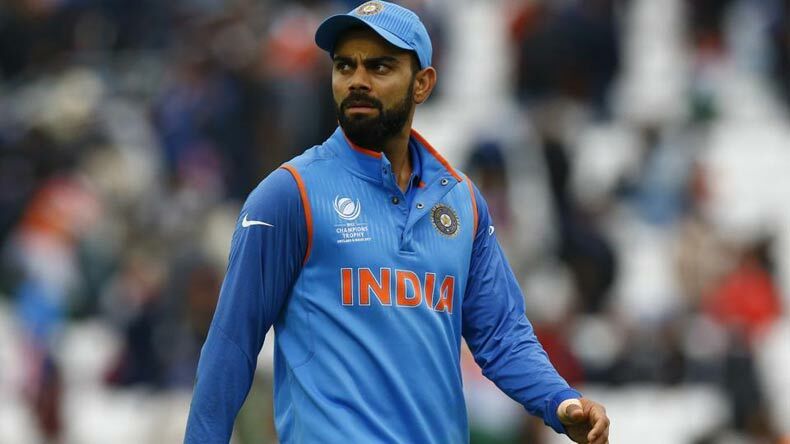 Virat Kohli (c), Parthiv Patel (wk), Moeen Ali, AB de Villiers, Shimron Hetmyer, Shivam Dube, Colin de Grandhomme/Tim Southee/Nathan Coulter-Nile, Prayas Barman, Yuzvendra Chahal, Umesh Yadav, Mohammed Siraj/Washington Sundar.